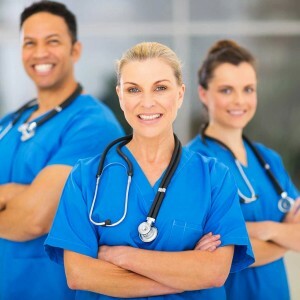 Things to Consider when Purchasing Scrubs | Ace Uniform Services, Inc.
New scrubs have been designed with all sorts of new technology and little things to assist nurses! Uniforms are essential for the success of any business and the healthcare industry is no different. From lab coats to nurse’s uniforms, healthcare uniforms are very utilitarian and serve a unique purpose for those working in a medical environment. Nurse’s uniforms, usually called scrubs, used to only be available in a white color, but nowadays can be found in many different colors and styles. Considering purchasing scrubs for the nurses at your hospital or facility? Here are a few things you should think about as you’re doing your research. Scrubs have evolved according to the needs of modern nurses. They can now come with pockets and loops added to allow nurses to carry scissors, medical supplies, mobile phones, and anything else they may need. They can also be manufactured with softer material to make them more comfortable and given added spandex to allow greater freedom of movement. And the wide range of colors available can create a less intimidating environment for your patients, especially for those in the pediatric field. Stains such as blood are not as visible on colored scrubs as they are on white ones. Scrubs nowadays are made with extra protection against bacteria and other germs for both the nurse and the patient. They promote good hygiene and stay clean without collecting dust or dirt. In addition, they are designed so that they can be cleaned very easily. When looking at purchasing uniforms for your nurses, you’ll want to consider a few things. Choose a modern design that also makes it easy to differentiate between staff members. Pick a comfortable material that allows greater freedom of movement and feels good to wear during a long shift. Take care to make sure the materials are hygienic to protect your nurses and patients from the threat of infection. Find a material that is easy to wash and keep clean. Make sure to buy in bulk so that your staff always has extra sets on hand in case it is necessary! To give your hospital or business a clean, professional, and cohesive look, rely on Ace Uniform. Whether you need uniforms in the food, automotive, industrial, construction, medical, security, or you-name-it industry, we can provide you with the uniforms you need for the price you want. Give us a call at 1-800-366-1616 or visit us online to learn how we can help meet your needs. Want to get to know us even better? Visit us on social media on Facebook, Pinterest, Twitter, LinkedIn, and Google+. This entry was posted on Thursday, November 10th, 2016	at 4:18 pm	. You can follow any responses to this entry through the RSS 2.0	feed. Both comments and pings are currently closed.